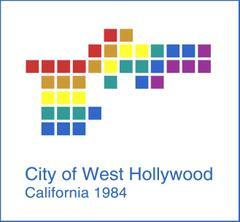 #WeHo Public Safety Awards takes place Wednesday, 5/17, starting at 6:30 pm at Council Chambers. Please join the West Hollywood City Council and the Public Safety Commission in the 2017 Public Safety Awards. The event will take place on Wednesday, May 17th at 6:30 PM at the Council Chambers (625 N. San Vicente Boulevard). Reception and music entertainment to follow. No RSVP required. Parking validation at the 5 Story Structure will be provided. West Hollywood Sheriff’s Station polices the City of West Hollywood and the unincorporated communities of Franklin Canyon, Universal City (which includes Universal Theme Park, Studios, and Citywalk), and the Federal Enclave in West Los Angeles. To receive more detailed, up-to-date information directly from the Los Angeles County Sheriff’s Department (LASD) via e-mail, register for "Nixle" alerts at www.Nixle.com or more directly athttps://local.nixle.com/register/ and register for "LASD – Headquarters Newsroom (SHB), Los Angeles County Sheriff" and your local LASD station area. Or, text your zip code to 888777 to receive text alerts only. Standard text messaging rates may apply depending on your calling plan.